it was my main car in ID3. im doing a 86 Levin next. just pissed away a shot at a f**king 2'50 now on happo IB. it's so hard to be consistant on this course with the damn ridiculousness of the physics. I was trying to get a video of my Akina DH run...but my stupid battery died... . I got my time down to a 3'12...I'm going to break that 3'10 mark within a few days. Am I the only one that likes the Evo IX?? My Myogi is now down to a 2'38".... I remember doing 2'36" with stock in the arcades >.< Hope to break into the low 30s by the end of the week as soon as I get the hang of the wheel. My video was able to be made!!!! Shield your eyes from the poor editing...i'm slowly teaching my self something else. btw, are FF cars faster on happo than other kinds? 86 i believe has very high potential at happo. I just ran a 2'55 with a bone stock one, a little too slippery but still i believe it's got potential. I currently have a 2'50'9 with a FT ek9, i'm interested to see what a FT 86 can do. with a almost full tuned a capp. need more practice. by the way Happp IB is the first or second option? happo IB is the second option... and I am honestly starting to think it takes way more skill than V3 happo to play after going at it lately. happo is my favorite track too. and right now i'm stuck at 2'50'007 because i blew cp4 on happo IB. maybe on the first page we should have the top 5 times for each course with the members name and car they used. keep the motivation of the drivers on here to push even harder. Yes, I said that on page one, I'm waiting for more times to be posted on more tracks before I start doing that. I'm slowly getting into Time Attack now mixed with some ranked battles taking everyone to Myogi boost on. My team mate had fun racing Kazu on Akagi UH twice. 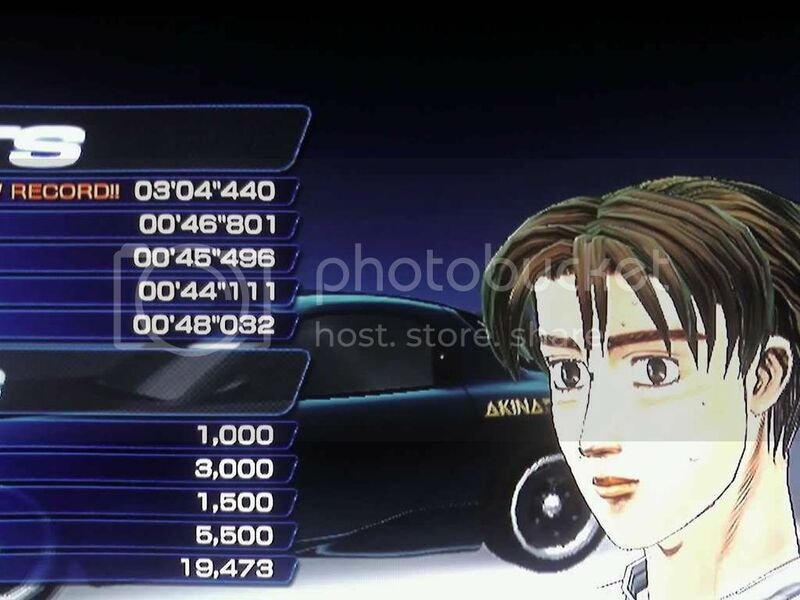 I'm currently on 2'35" Myogi DH, 3'09 Akina DH, Iro is like 2'54"
The three lane turn is what messes up my time. I can hit a 3'03" if I clear it decently. I hit the wall everytime.